Direct replacement battery, main advantage being home delivery. Reasonable price, excellent packaging with clear concise commissioning details. Arrived very promptly thank you. Plenty of power to start after installation, though a bit lumpy on tick-over to begin with until I'd driven a reasonable distance. I'm no expert but I wonder if the charge when delivered was a little low? Minor complaint though - overall excellent service and value for money. 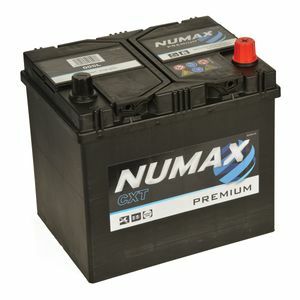 Good battery, good price and prompt delivery. Excellent service..arrived at the time scheduled and it was boxed up properly. Good product, competitive price and brilliant service. Very efficient delivery and well packaged. This was advised to me by a mechanic friend and is working well. Prompt delivery and we'll packaged . Excellent service . First class service, for a great battery at a good price. Reasonably priced , speedy delivery and good communication. Not much to say - it's a battery! Arrived very promptly indeed, in perfect condition, well packed, fully charged. Arrived fully charged in good time. I'm a total penny pincher. This battery is an improvement on the battery I already had and the price is the best out there. The service was as good as the first time I used this company and will definately use again and recommend to friends. Battery was so much cheaper than anywhere else so I can't see why anyone would go anywhere else. Both batteries in both cars fairly new but have had no concerns about the products so far. Thank you very much! I would use service in the future. Good quality battery and very quick deliver. Good price and next day delivery from Tayna batteries. This battery replaced the old one in my Mazda RX8. In case you are uncertain of battery dimensions etc, this one fits the battery compartment perfectly in an 04 model, and has a bit more cranking power than the original.